It’s hard to find a better all-around phone these days than Samsung’s Galaxy Note 9, but that doesn’t necessarily mean the S Pen-wielding powerhouse has been selling like hotcakes since it commercially debuted back in August. High-end mobile device competition is more heated than ever, not to mention there are still a couple of major flagships left to be unveiled before the holidays. Above all, the Note 9’s mainstream appeal is hurt by a large number of similarities shared with last year’s Galaxy Note 8, as well as the S9+ released just six months or so ago. But at least in Korea, things aren’t going anywhere as badly as rumors suggested a little while back. Samsung has already managed to domestically sell one million Galaxy Note 9 units, which is by no means a small number for a single market that’s not among the world’s largest three. Compared to 2017’s Note 8, the company has needed a little more time to reach this milestone, but of course, the historical context is radically different. The Note 9 has arrived on the heels of two very well-received Galaxy flagships in a moment of deepening market stagnation, while the Galaxy Note 8 saw daylight after the successful Galaxy S8 as a sequel to the catastrophically failed Note 7. Besides, we’re talking a minor gap of less than a week here, as the Galaxy Note 9 went from 0 to 1 million unit sales in Korea in 54 days, while the Note 8 took 48 days to achieve the same feat. Oh, and by the way, the Galaxy S9 and S9+ barely got to the one million mark 60 days after regionally going on sale. Granted, Korean numbers are not always representative of global demand, but even though Samsung is unlikely to report record mobile profits for the year’s third quarter, divisional revenue could well be on the rise, albeit modestly. I have a Note 9 and it is a fantastic phone - but the reality seems to be the Note 8 was pretty awesome also, and there are plenty of amazing high Android phones out there now, most at least a bit cheaper than the Note series, and quite a few around 66-75% of the price for 90%+ of the capability. It does indeed seem as if we've reached market saturation here, with consumers really having to be persuaded to part with a "Samsung Premium" . Agreed, it's not that the phone is bad, it is the fact that the people that have been holding on for a new note after the note 7 fiasco has already bought the note 8 and are quite happy with it. 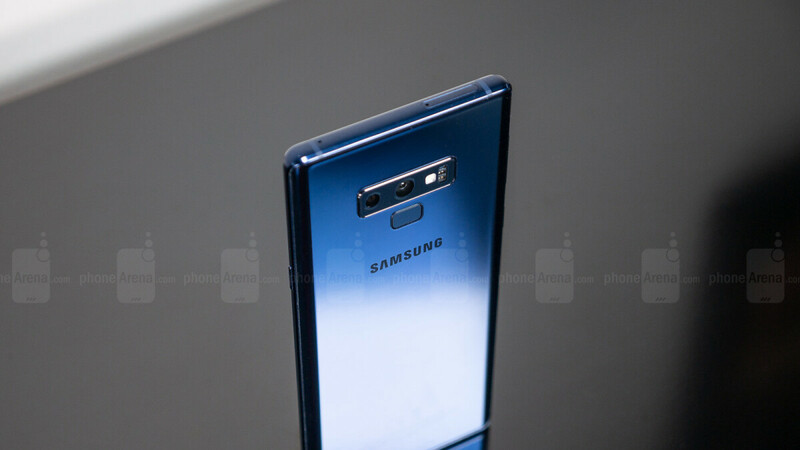 Perhaps when the note 10 comes out, the note 8 users will contemplate for an update? This statement right here is exactly me & the reason why I'm debating between getting the Note 9 or just holding out another 10 months for the Note 10. Yep, me too I was so ready to get the note 9 , then it was sold out near me so fast i had to wait well, the wait gave me time to think about it. I am happy with my note 8 so why not wait for the note 10. I am waiting for the note 10. I haven't fully committed to skipping the 9 just yet. I guess I can look at my pay schedule for next year & if I get paid 3x in October then I can get the Note 9 now & get the 10 in a year. People are realizing there are better Android phone out there with cheaper price point. Note 10 will probably sale less than note 9. I really doubt that there's going to be Note 10 anymore, they should kill the name. It's hurting their sales. People have certain image about this phone and that's why it's such a niche product. https://bgr.com/2018/10/15/galaxy-note-10-rumors-screen-specs-vs-note-9-and-iphone-xs-max/ You’re nothing more than a troll. This coming from guy who thought i have imaginary iPhone 6, if i were you i should just be quiet :D Phonearena had that article toohttps://www.phonearena.com/news/Galaxy-Note-10-vs-iPhone-XS-Max-display-specs_id109953 it also ends like this "any case, we are excited that there will be a Note 10 at all, after the rumors that Samsung may be merging the Galaxy S and Note lines. "¨ That rumour would make lot of sense, like i said note name hurting that phone.
" if i were you i should just be quiet" Yep you are right, you should just be quiet. Everybody knows that the note is boss. Even you know it. very few knows that and that's why sales are so low, like i said marketing for that phone just doesn't work. no doesn't work at all. yes .... yes it does.... thats why you always bring up sales instead of facts about the actual device... if apple brought a device to the table with all the hardware specs of the note you wouldn't even mention sales, you would just praise it of how versatile the device is... quit frontin! iphone is a good basic device with some fun sprinkles on it... note line is a swiss army knife that provides the users with plenty of features... not everyone needs all those features, but plenty of people enjoy having options.... you dont miss what you never had! I have 17 Nissan Max, SR Midnight Wheels, Silver with black racing stripe on front of hood along with blacked out hood emblem, that’s way way better looking and performs way better than anything below an M3. Base model 3’s are garbage and you will spend at least $45k for something like that. Sales are lower than the Note 8 and that, again, is due to the minor upgrades between the two devices. Get it right. This is exactly not the case. If you read the headline it says, faster than S9, but slower than Note 8, meaning the sales are better than its non-phablet counterpart, but not as good as its predecessor. The phone is good but since they price it as much as apple then its a no sale for most android users especially there are seas of androids. "...but since they price it as much as apple..." You know the Note 9 came out before the XS Max, which is actually more than the Note 9, do you? You do realize the note is a little cheaper then the iphone and offers much more. The note was never meant to be a huge seller, it is meant for the people that like what the note offers.